One out-of-work British actress pays the rent on her New York City apartment the only way she can: as a decoy for a detective agency, hired to entrap straying husbands. When the cops begin investigating one of her targets for murdering his wife—and potentially others—they ask her to lure the suspect into a confession. But with the actress pretending to be someone she isn't, differentiating the decoy from the prey becomes impossible—and deadly. JP DELANEY is a pseudonym for a writer who has previously written bestselling fiction under other names. 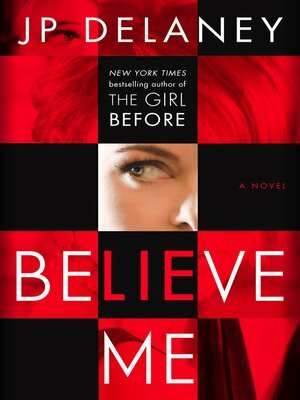 Delaney is the author of the New York Times bestseller The Girl Before.